How to Make Concrete Tealight Holders. 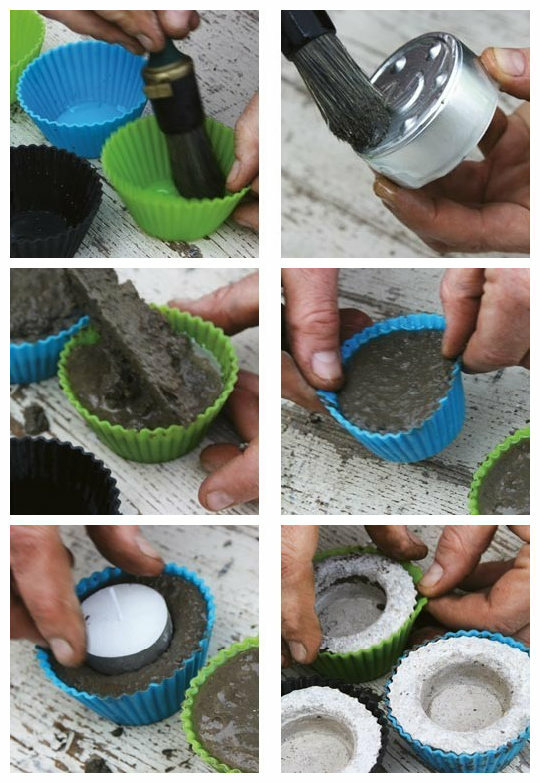 Mix concrete and fill oiled silicone muffin cup to just below the top. Oil bottom and sides of metal encased tea lights and set into center of concrete. Let set 24 hrs. Remove concrete holders from silicone molds and wash the molds so they can be reused.